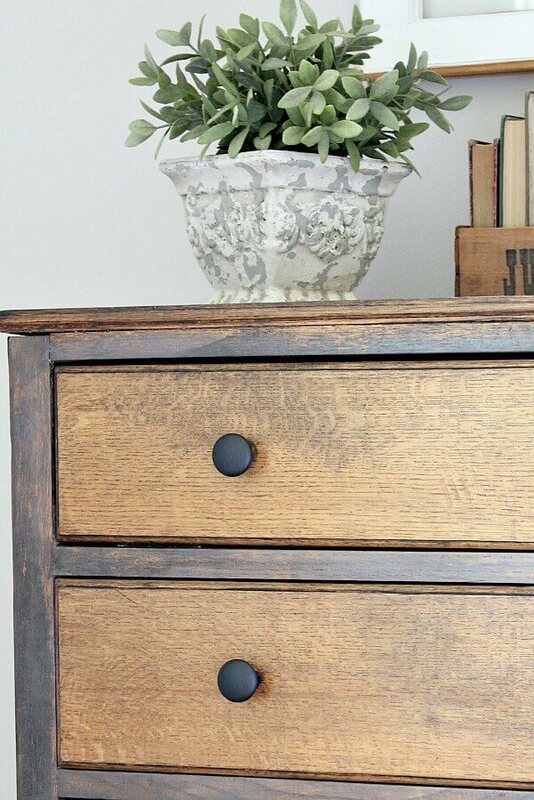 This Simple Furniture DIY Just May Be Your Favorite! Psst…. hey you! 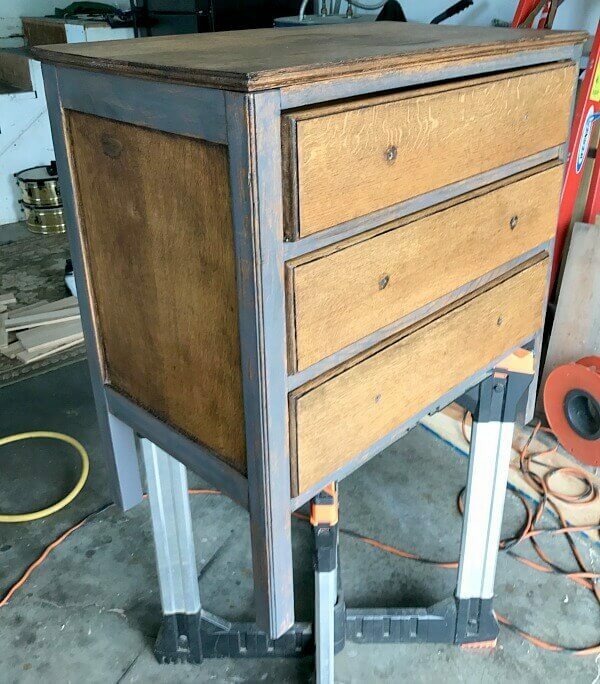 Looking for a Simple Furniture DIY? 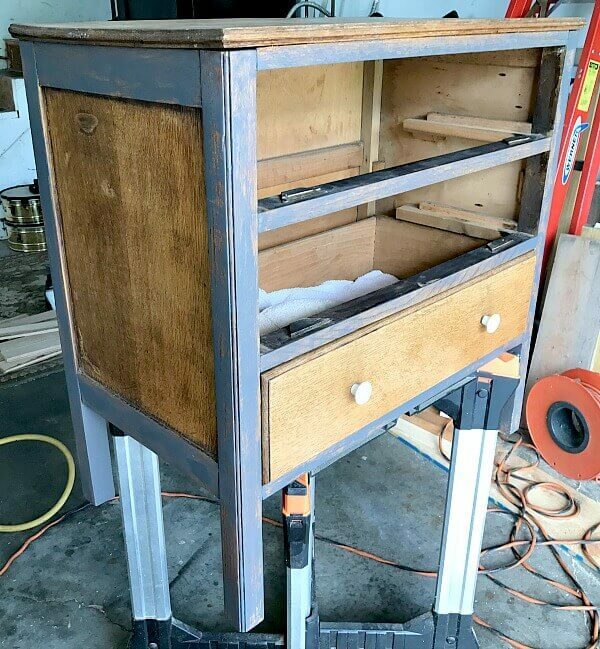 Yeah, you with the garage full of furniture finds that you’ve been waiting for an easy project to come along. Have I got news for you! 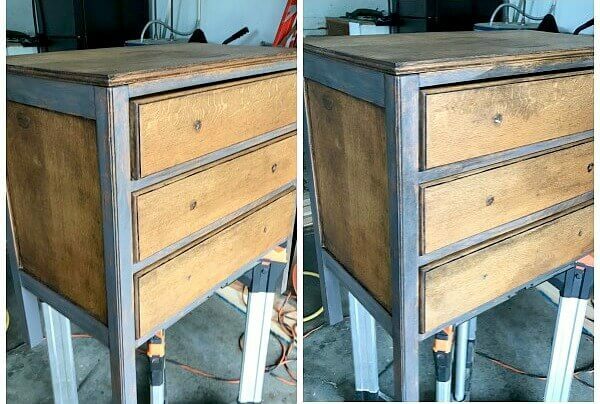 This simple furniture DIY just may take your breath away! 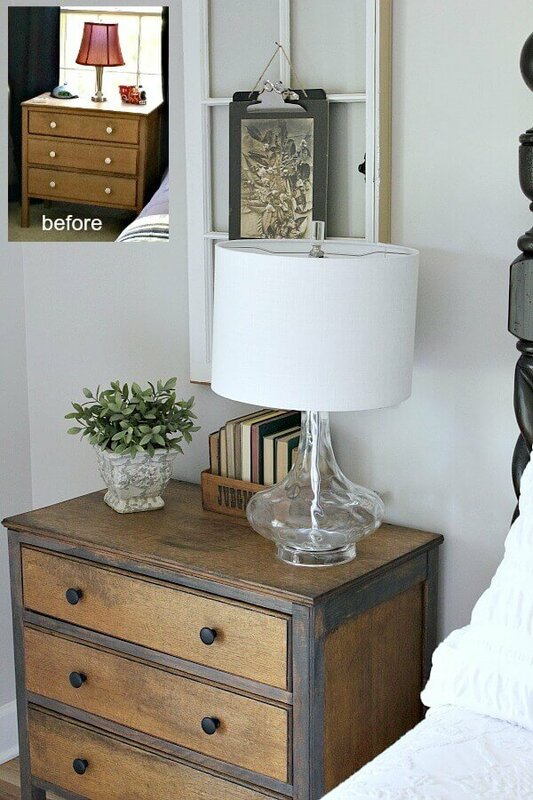 Here’s an easy way to transform your furniture in no time with little effort. 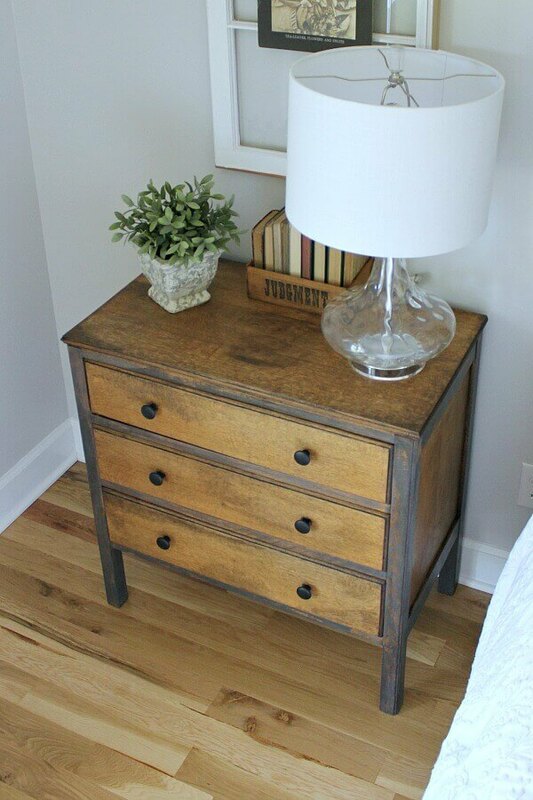 If you remember, I shared with you all how I ‘shopped my home‘ looking for new side tables for my Master Bedroom Makeover. 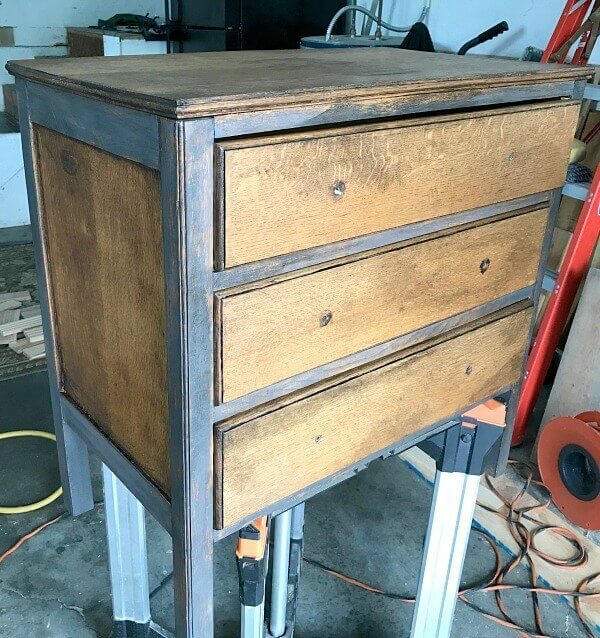 This little chest was a piece I found at a garage sale for $50 and it was in my boys room for years as you can see in this grainy pic – you may have to squint your eyes a bit and tilt your head just so, but this was the plain old chest from way back when complete with white ceramic knobs. We moved it into our master and it was if it sighed like it was home. I just loved how it looked, but thought it needed some sort of secret sauce to fix it up for it’s new space. So we took the chest out in the garage and honestly, just played around with it. I think that’s the technical tutorial term for it. Here’s how easy it is and the sources I used. Affiliate links are provided for your convenience. You can read my full disclosure here. Confession time: We had a paint brush sitting there to clean from painting our closet addition in our Master Bedroom Makeover, so instead of cleaning it, we used it to dry brush the edges of the chest. Oh my, I was swooning! I was loving how it looked, but thought it needed just a bit more depth, so I darkened it using Valspar Antiquing Glaze. Again, we were winging it and playing around with ideas and just went for it. We randomly added the glaze. A touch here…. a bit more there. It’s like you have to channel your inner Bob Ross, step back often and find where to put your ‘happy little tree’. Here’s a side by side so you can see how different the glaze makes to the piece. I added it where I thought years of hands would have touched the piece. And covering a few spots of the painted edges darkened the hue as well. Finally, we spray painted the old ceramic ones that were on the piece with chalkboard spray paint. Sooooooo quick and surprisingly easy! We finished our simple furniture DIY in 30 minutes, in similar Bob Ross fashion! The previous owner marred the top with a very wet plant that obviously sat on it for a long time. I did add touches of the glaze to the corners of the piece to match that beautiful stain. And can I confess something else? 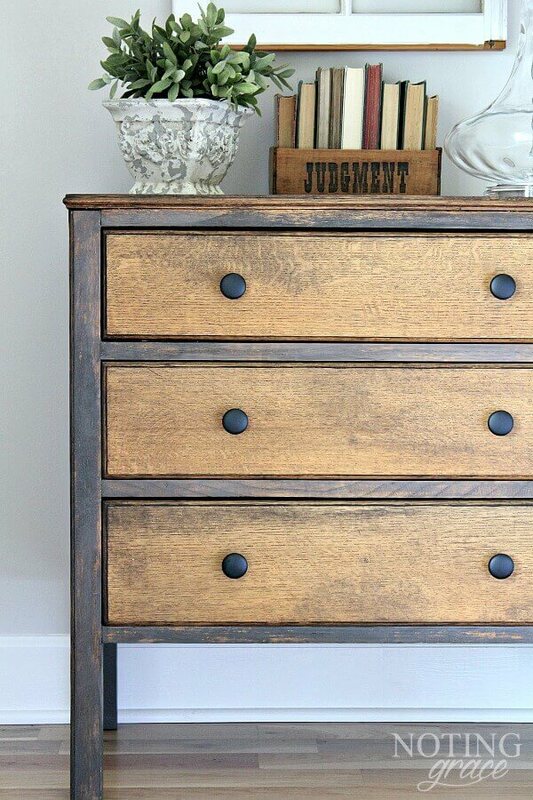 Not only do I love my Master Bedroom now, but I also adore this chest. 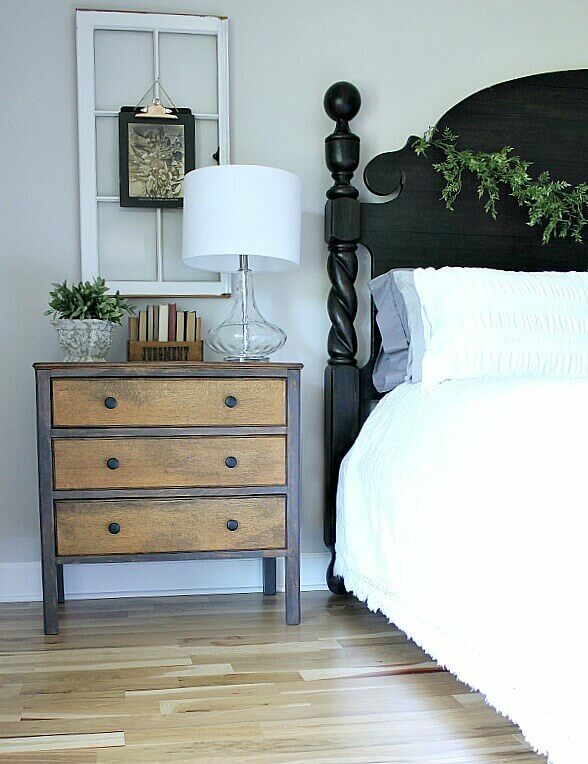 In fact, of all the elements and DIYs we made for the Master Bedroom Makeover, this simple furniture DIY is especially my favorite! In other words, the quickest and easiest DIY takes the lead over the sweat inducing, back breaking projects. Isn’t life funny like that? So, go out there and tackle your project! 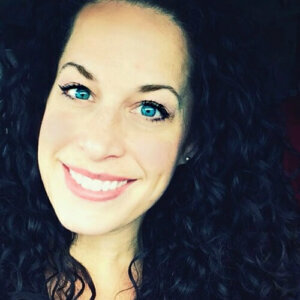 It may surprise you and not be a huge makeover. And who knows… it may turn out to be your very favorite too! And don’t forget to share with me your furniture makeovers – I’d love to see them! I share with these people. 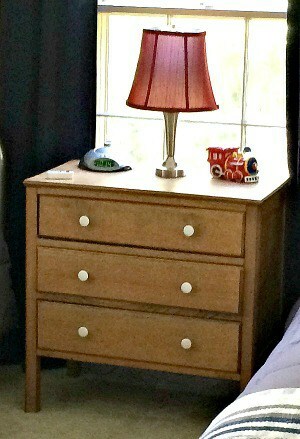 i have a couple dressers in my bedroom that need re-doing and I love the results of your makeover!! Will definitely try this…Thanks you for the post!!! Awesome! I’m so glad this inspired you!